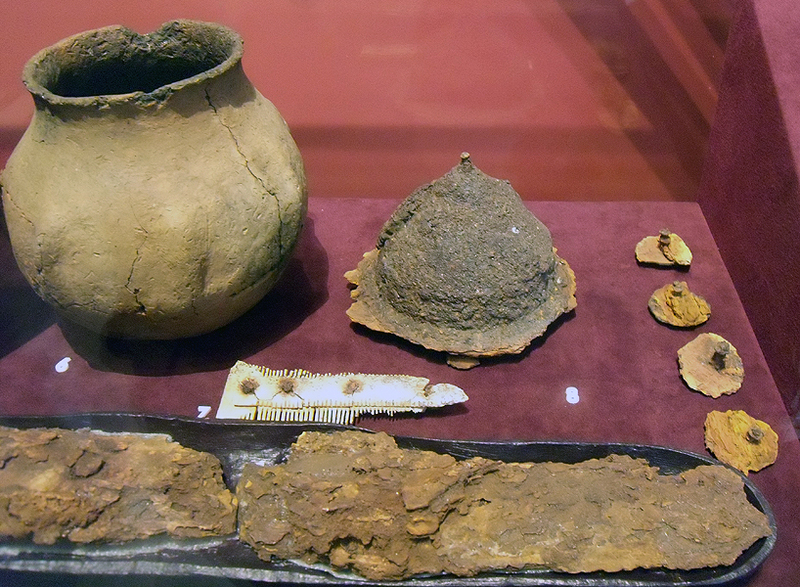 These images are from the site and Sutton Hoo museum. 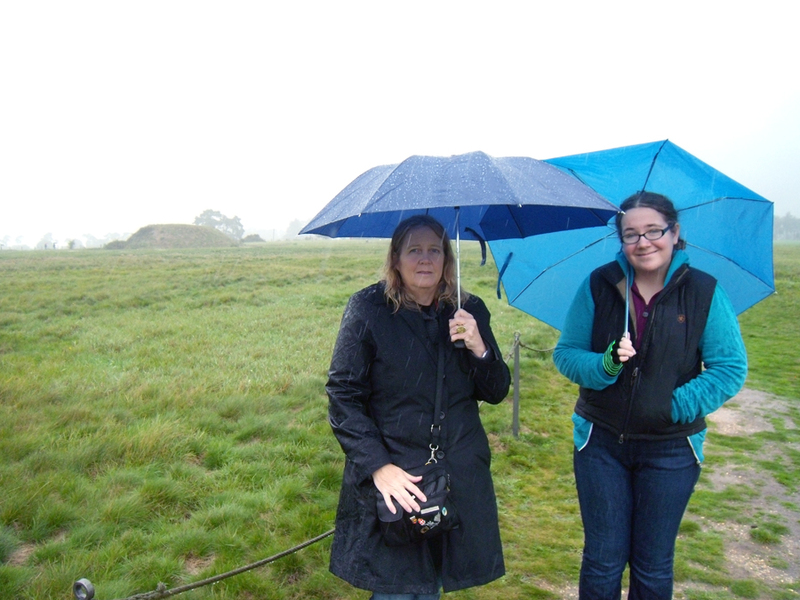 Neathery and Amira Fuller explore Sutton Hoo in the rain. 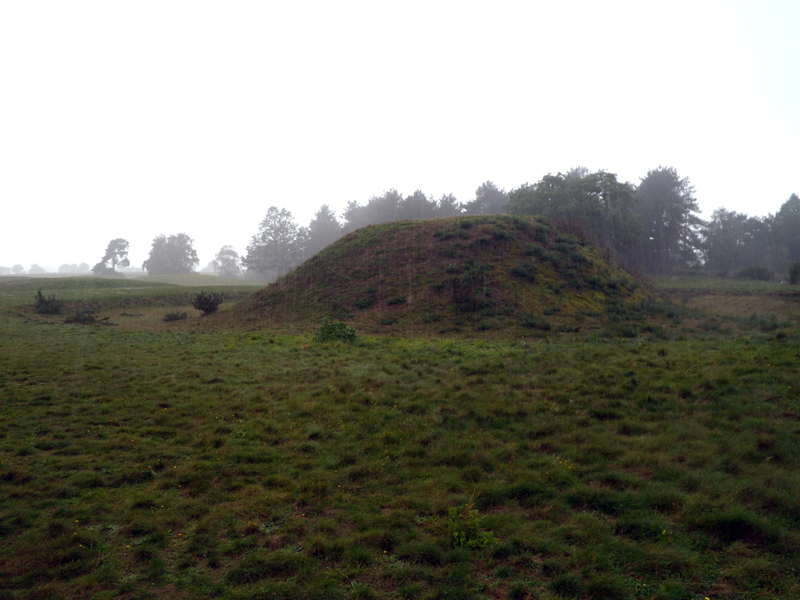 Burial Mound 2 at Sutton Hoo has been reconstructed to its estimated original height. 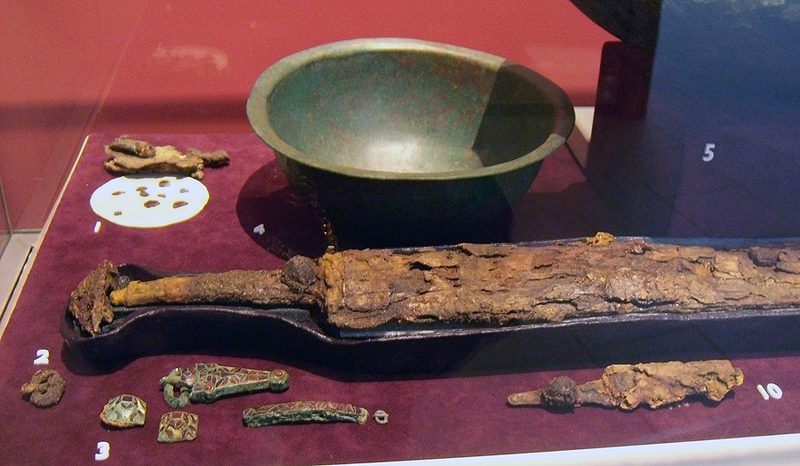 Iron sword and inlaid buckles from mound 7 at Sutton Hoo. 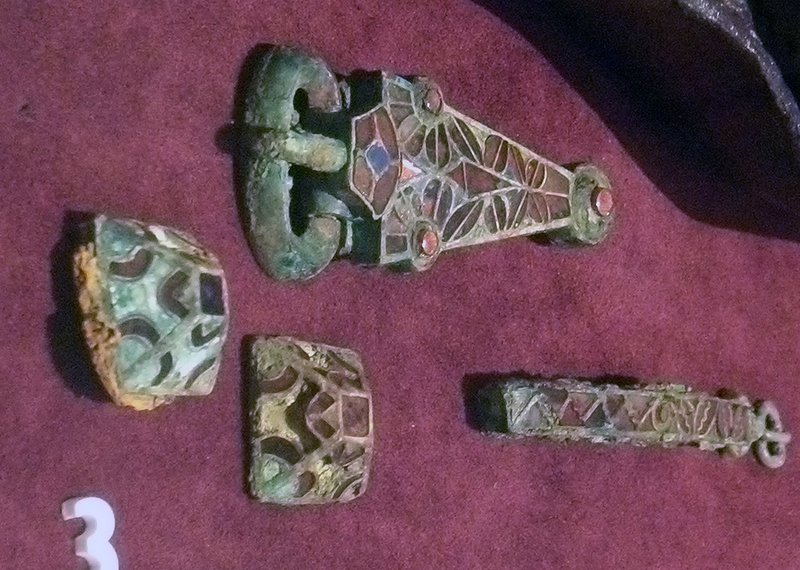 Closeup on the buckles from mound 7 at Sutton Hoo. 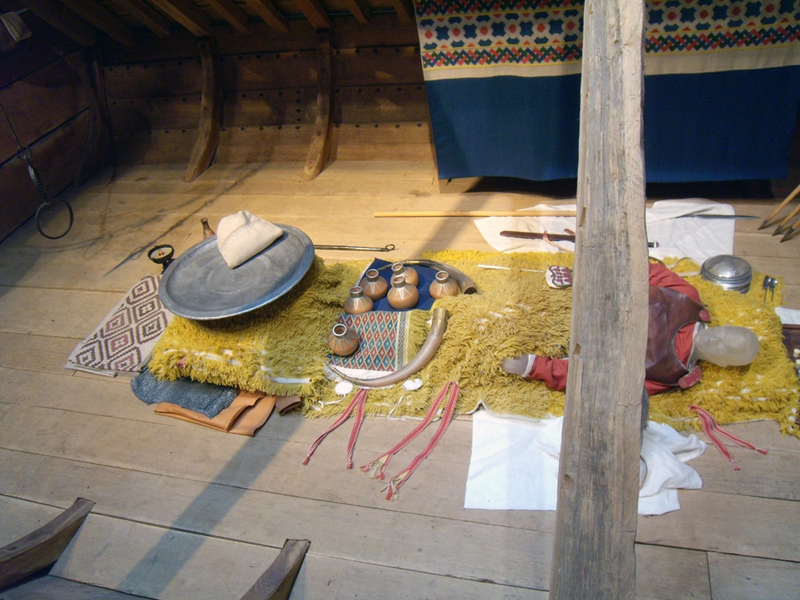 Reconstructed layout of elite burial and grave offrings from Sutton Hoo. 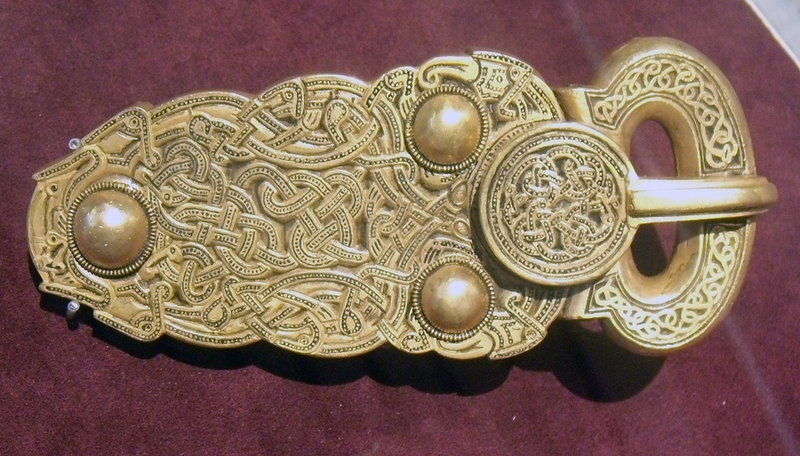 Reconstruction of gilded buckle from the elite burial at Sutton Hoo. 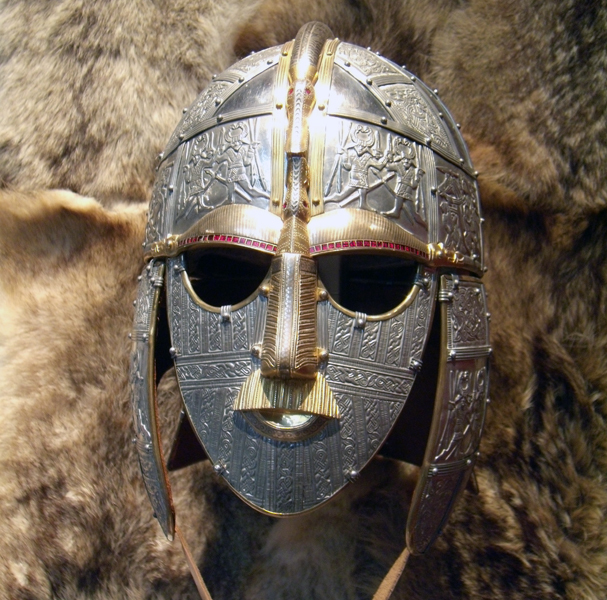 Reconstruction of the helmet with garnet eyebrows and nose-guard associated with the elite burial at Sutton Hoo. 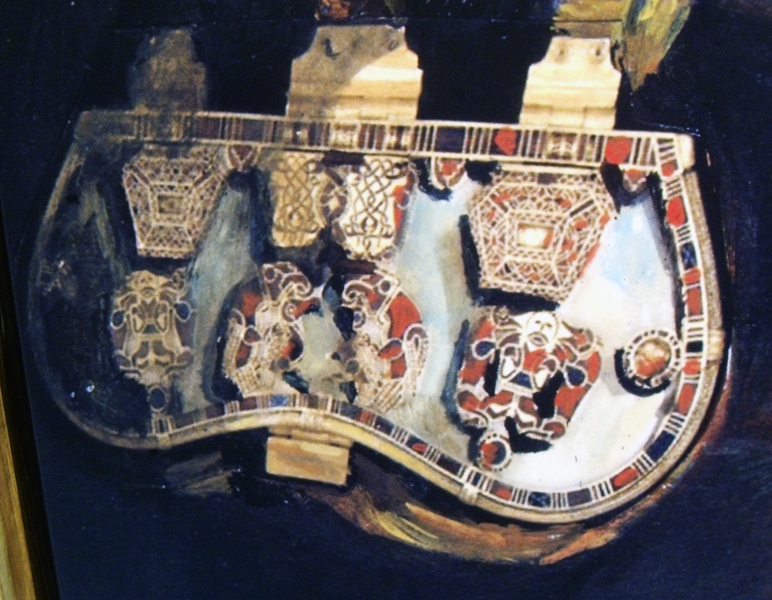 Reconstruction of the garnet decorated purse associated with the elite burial at Sutton Hoo. Plainware pottery, sword shield boss from Sutton Hoo. 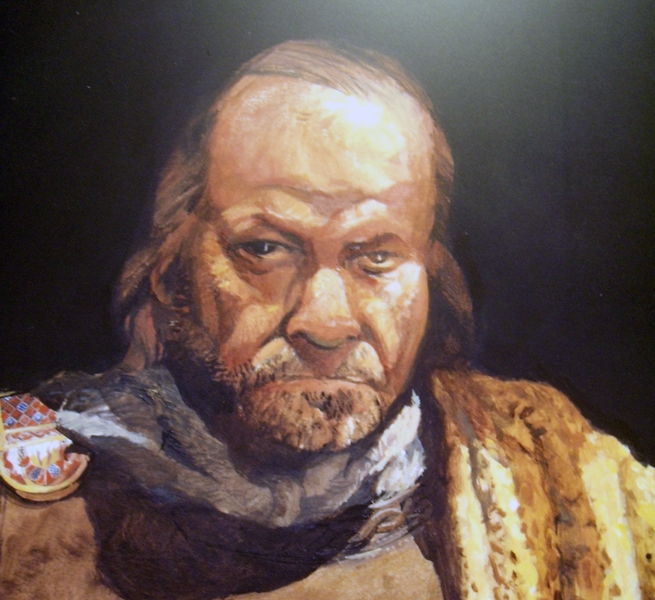 Artist imaginative portrait of the elite male burial.